How Many Times Must A Customer Sign My Notary Journal? You have two options. You can create two full journal entries and have the signer sign each entry. If, however, both documents are notarized at the same time, you may use acceptable shortcuts to record both journal entries. If you are using the NNA’s Official Journal of Notarial Acts, you would create a full journal entry for the first document and use ditto marks in the entry immediately below for the information that is the same for both documents. In the signature columns, you may insert a diagonal line between both columns and have the signer sign along the diagonal line. Is this true in California? Hello. CA Notaries may not use ditto marks for duplicated information in their journal entries, according to the CA Secretary of State's office. California can not use ditto marks but can the individual sign once along the diagonal? Hello. No, CA Notaries may not use a diagonal line across multiple journal entries for a journal signature. This article should list California as an exception as we cannot use ditto marks or have a client sign diagonally across multiple lines in our journals. Hello, can MO use ditto marks in their journals? Hello. Missouri requires Notaries to enter the following information for every journal entry: (RSMo 486.260): 1. The month, day and year of notarization; 2. The type of notarization (e.g., acknowledgment or jurat); 3. The type of document notarized; 4. The name, signature and address of the signer; 5. The identification used to identify the signer; 6. The fee charged for the notarization. Get the modernized journal. It list most docs we notarize. The state of Ca states a signature, with character of each instrument sworn, and THE signature of each person being notarized. Read it on page 9 Ca Notary Handbook. 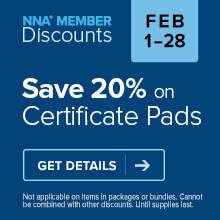 The NNA tries to tell you different. The state gets our journals when we’re die or stop. There are over 100k notaries in CA. Think about it. The only one profiting is the NNA getting you $$$ for journals. I’ve debated this for 6 yrs. the handbook states nothing about a signature for each doc being notarized. It the NNA’s interperation. The State is our boss and makes our rules. Just saying....what’s right is right. Hello Julie. You are correct that California requires each person whose signature is notarized to sign in the Notary's journal. However, just for clarification, please be aware that the Hotline question being answered above was asked by a Maryland Notary, and so the answer provided applies to Maryland only. That's why we always include the disclaimer that Hotline answers are always based on the laws in the state where the question originated. 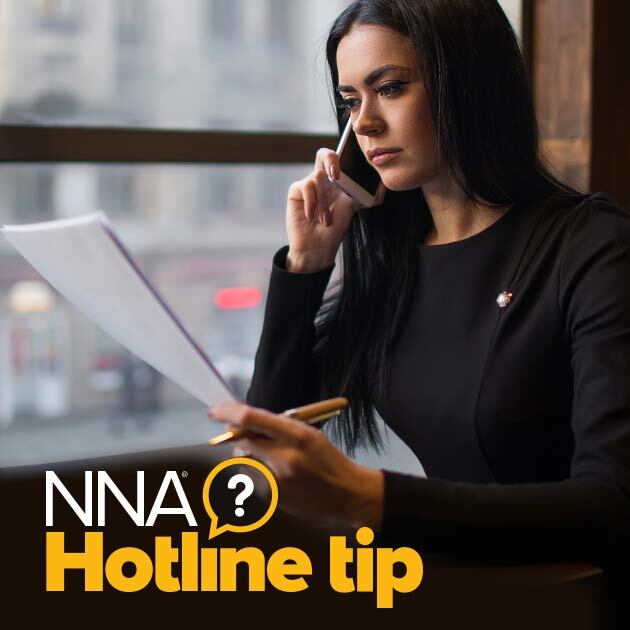 Notaries are always welcome to post questions in the Comments section about how a hotline tip situation would apply in a different state.